Comes with white and orange laces! 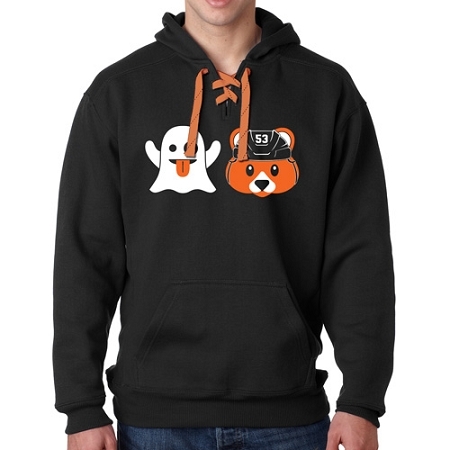 The Ghost Bear hockey hoody is printed on an amazing comfortable lace hooded sweatshirt, with blended cotton/poly construction (80/20), split front pocket and interchange orange and white laces! This sweatshirt will be your go-to gameday item for years to come. Please note that this item does run a bit on the smaller side; if you're in between sizes, please order up. You can find a size chart for this item here. Also available in men's and women's tees. 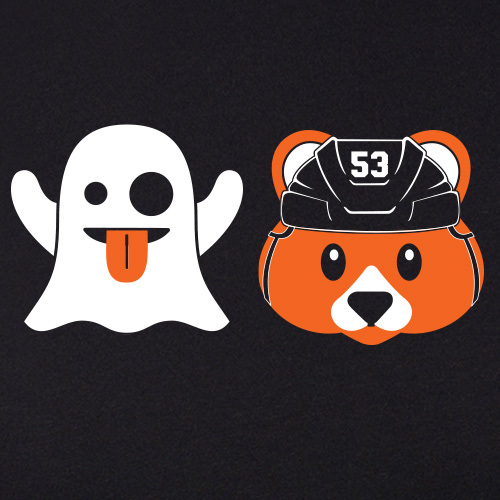 You can now also purchase this design in youth sizes and baby onesies.